“Few things a doctor does are more important than relieving pain. . . pain is soul destroying. No patient should have to endure intense pain unnecessarily. “The human body experiences a powerful gravitational pull in the direction of hope. That is why the patient’s hopes are the physician’s secret weapon. Thank you for thorough, kind, and innovative treatment of my knee injury. I had been to several doctors and failed surgery before I found you. You have helped me live my life again. I am immeasurably better after being treated by you and your staff. If you have not been in chronic pain, there are no words to describe its cessation. I am a better mother, wife, and friend because of your care and I am eternally grateful. Thanks for being you and listening to me from the start. I never dreamed that I would adore a doctor as much as I adore you. You have a gentle spirit and you are a beautiful being. May the Lord continue to bless you and your family. Thank you so much for everything Dr. Tavares! It’s amazing to have a doctor who listens and cares. I can’t explain how thankful I am for how much you’ve helped me in such a short amount of time. I’m totally bummed to find a new doctor in Florida. Again, thank you so much for everything. Dr. Tavares, I am very grateful and most appreciate all you have done for me. I almost lost complete faith in doctors as I was only prescribed medications to mask my pain instead of finding the cause. You are such an excellent physician and you reassured my faith in doctors. You listened, found the cause of my neck pain, and took action. I was able to trust you and knew I was in good care. When I first visited your office, I was extremely limited in my mobility. I wasn’t able to complete basic household chores and was in serious pain. You restored my mobility and relieved my pain. Thank you for everything you’ve done for me over the last couple of years. Although I wish I never needed to come to your office, I appreciate how amazing you and your staff have been. You were always professional and kind and words can’t express my appreciation. Thank you. Dr. Tavares cared about me “the patient” and the affect the pain had on me and my daily life. He took the time to truly listen to me each time and he did all necessary to make me comfortable. My family is so grateful to him and his staff for all that was done in my care. After being treated by him it gave me hope that I could beat these pain issues that took over my body and my daily life. Thank you from the bottom of my heart and my family’s hearts for never judging me or never giving up on me because of my many pain issues. I had never met a physician so caring and dedicated to patients until being referred to Dr. Tavares. As a wife of a career military man I’ve been treated by countless doctors across six states over the last twelve years. I can confidently say that Dr. Tavares tops the list as one of the best. Dr Tavares and his staff treat every patient with kindness, dignity, and respect. Since my first visit to Dr. Tavares we have successfully transitioned me from extremely high doses of a very dangerous medication to a much safer dose with a much more effective medication. I went from barely being able to leave bed to being able to workout nearly every day, and even consider taking on a part time job. I’m so grateful to Dr. Tavares and his staff for thinking outside the box to treat pain, and for all the ways they make each office visit a good experience. Dr. Tavares is truly an extraordinary physician and a wonderful human being. For the past 8 years, I have suffered terrible pain and have seen many doctors who either given me shots or put me on pain medication. Dr. Tavares has gone way above and beyond to get to the root of what’s actually causing my pain and has successfully eliminated the vast majority of it. If you suffer from chronic pain and want to improve your quality of life, you need to see Dr. Tavares. My experience with Dr. Tavares was superb. He is a good listener, compassionate, and extremely skilled. He answered my questions thoroughly. After two treatments, the pain that I have lived with for years is gone. His office staff is helpful and friendly and my entire experience has been great. I highly recommend him. Dr. Tavares and his staff are incredibly kind and caring. 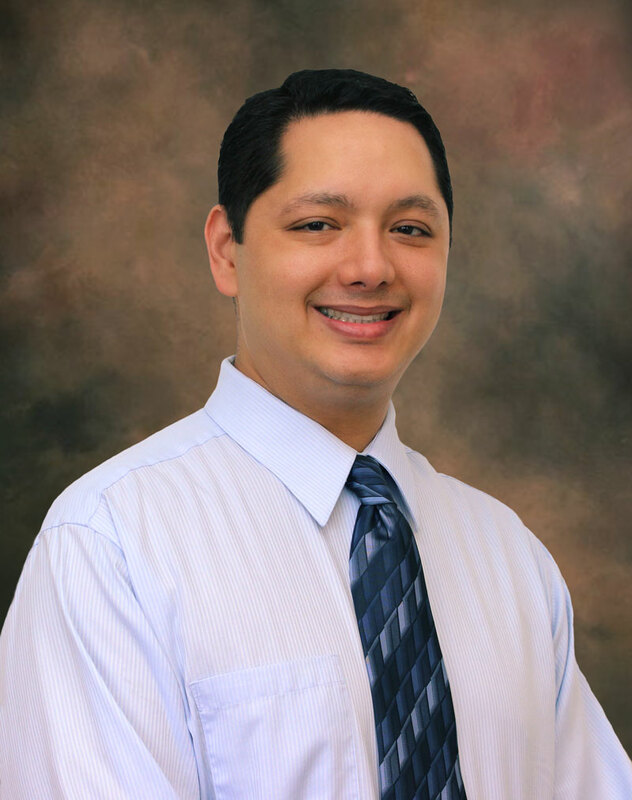 Dr. Tavares takes the time to really get to know his patients and find the best way to help them. I’m so grateful to Dr. Tavares for the care he provided me. After years of living with chronic back pain and going to physical therapy to no avail, Dr. Tavares has finally helped me to be pain free. I feel like I have my life back! Dr. Tavares, Over the past few months, you have been my superman. You gave me my life back and I feel like I owe you so much. The past few years suffering with chronic pain was very difficult and I thought I would never be “normal” again. But with my implant, I have a chance to try to get back to being the person that I used to be. Mahalo. Dr. Tavares and his staff are amazing! My husband and I are almost completely pain free. I would send my children to him and not feel worried. He is just amazing! I had severe back pain for 4 years and wouldn’t do most activities. Now I can do anything I want! Dr. Tavares and his staff were always kind and listened to any and all issues or concerns we had. They are family to us and we are sad to leave the island because we know we will not have the quality care we received here. Although we know he is busy, his waiting room was nearly always empty because of the flow his office maintains. We felt like we were his only patients. 5 stars! I met Dr. Damien Tavares in October of 2014 and he completely changed my life. I had extensive nerve damage in my leg from blood clots and surgery. I couldn’t walk short distances without extreme pain, but five doctors failed to diagnose and treat me. Then, I met Dr. Tavares. He diagnosed me with chronic regional pain syndrome and suggested a spinal cord stimulator. Dr. Tavares gave me options that I never knew were possible. Today, with the help of the spinal cord stimulator and the correct medications, I am living my life to the fullest. Since my implant, I’ve been able to hike with my kids, walk on the beach with my husband, and play with my dog. None of that would be possible without Dr. Tavares. How can I get an appointment at Hawaii Pain Center? As a specialty clinic, all patients require a referral from another healthcare provider. Medical records are reviewed before scheduling to ensure best treatment outcomes. Due to continual changes in healthcare insurance plans and policies, please contact us to find out if your plan is accepted at our office. Does Hawaii Pain Center accept self/private pay for care? Yes. However, self/private pay patients undergo the same referral and review process as insured patients before scheduling. The office is located in the Harry & Jeanette Weinberg Medical Pavilion. It is the building closest to Liliha Street on the campus of the St. Francis Healthcare System of Hawaii. Monday to Friday, 9 a.m. to 4 p.m. Patients are scheduled by appointment. There is ample street and structure parking. Handicap parking is conveniently located in the basement of the building. Parking in the structure is a flat $3. What method of payment do you accept for co-pays and balances?